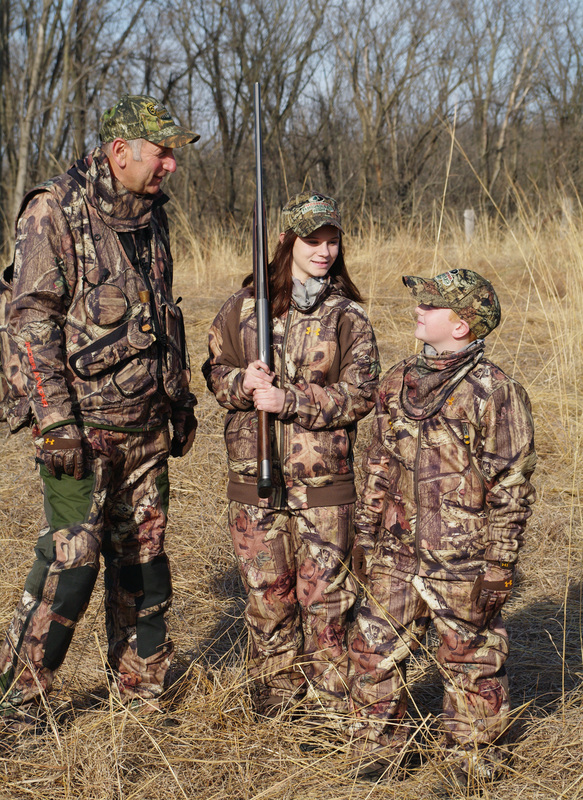 Lots of Free Youth and Special Hunts Available Statewide! Answer: DFG holds many special hunts throughout the state specifically for apprentice (first-time) hunters, juniors (15 years and under), families, women and those who are mobility-impaired. These include hunts for wild turkey, quail, chuckar, pheasant and wild pigs. Planted pheasant hunts are for apprentice hunters only. Newly certified Hunter Education (HE) grads are especially encouraged to apply because they will be given priority one time only over others applying through regular drawings. Newly certified hunters just have to type their HE cert number into the application and their names are automatically added to the “first hunt” roster. Those names will be drawn first, and based upon their preferences, selected for hunts not yet filled prior to those applying through the regular drawings. All hunts that do not include planted pheasants are for wild bird hunts and are not part of the priority selection with the HE Cert. 4) Click the “View Available Hunts” link at the bottom of the next page. 5) A display of all hunts available around the state will pop up, along with the dates, requirements, contact numbers and information about each hunt. 6) Then select the type of hunt you’re interested in. 7) Applicants will be notified shortly by e-mail of which hunt(s) they were successfully selected for. If an applicant hasn’t already purchased their license, which is a requirement to apply, it will take 24 hours to be entered into DFG’s licensing system so it can be verified through the drawing application. These special hunts are some of the best opportunities out there to help encourage and support new hunters, women hunters and those who are mobility-impaired. And they are all funded by hunters for hunters. Don’t miss out! Answer: Crab loop traps (often sold as “crab snares”) are legal, but no more than six loops are allowed (California Code of Regulations Title 13, section 29.80(d)). Valid sport fishing licenses are required to take crab, unless you are fishing from a public fishing pier (as defined by CCR Title 14, section 1.88). Two shotguns with separate shells? Answer: You can carry more than one gun when hunting different types of game. However, you cannot possess certain types of ammunition while hunting certain species. For example, while hunting turkey you may not possess anything larger than #2 shot, and while hunting waterfowl you may not possess lead. In both of these cases, your second gun cannot have anything illegal to possess. So it is legal to carry two guns, but neither gun may have ammunition that is illegal for any species you are hunting. Military fishing and hunting licenses? Answer: Active duty military may purchase resident fishing and hunting licenses while stationed in California. We do not currently offer special military licenses. This entry was posted in crabs, Firearms/Ammunition, Hunting, Licensing/Permits/Stamps/Report Cards, Saltwater Fishing, Turkey, Uncategorized, Upland Game, Wild Pigs and tagged ammunition, crab fishing, crustaceans, firearms, Licenses, Youth hunts. Bookmark the permalink.